Everything parents need to know about our activities, care, requirements, procedures and more. All enquiries for places are welcome at the office. Fill out an Enrolment Enquiry here. 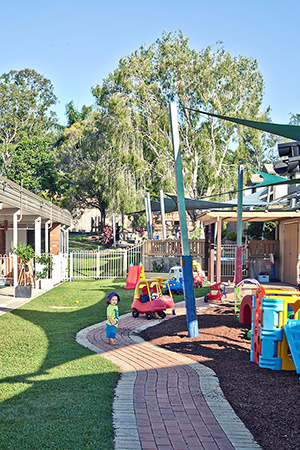 Living Faith Early Learning Centre (ELC) is a long day care centre situated in Petrie, providing care for around 75 children aged 0 – 6 years of age. 24 Children, aged 4 - 6 years. We are a witness of Christ's love for the children of our Centre and for their families. We believe that all children are precious in God's sight and that it is our joy to show forth God's love to them, and to you, their families. We are a community based centre which operates on a non-profit basis. It is operated under the oversight of a Committee of Management which is made up of both parent and church member representatives. 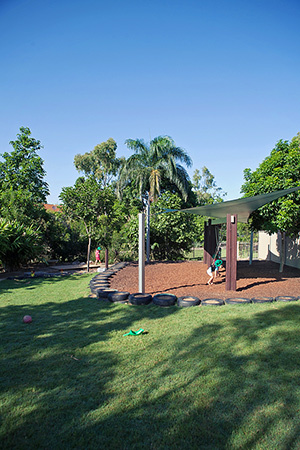 Within the context of a Christ-Centred environment, the centre operating within the Lutheran Church of Australia seeks to offer developmentally appropriate, play based programs providing care and facilitating discovery and guided learning from observation of children's interest, needs and abilities. Love in the greatest of all. The main reason for anyone working in this Centre is a will to serve God and the Community (children and parents) to the best of one's ability. Children look to adults for security and knowledge. They learn more from our behaviour than our words; therefore everyone working in this Centre is regarded as 'teacher' and accepts some of the responsibility of the future of the children here. The children will be given opportunity and encouragement to develop their individual abilities and talents in a Christian environment. For more information please click here to contact us via email or call us on (07) 3285 4033.